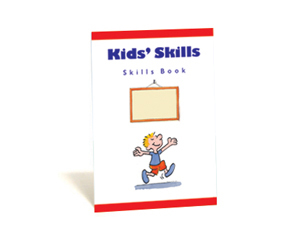 The Kids’ Skills Skills Book is a pamphlet-style workbook for children. Designed as a companion resource for parents and teachers using the Kids’ Skills method, the workbook steps children through the process of developing, practising and celebrating their new skill. 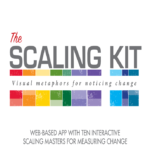 Using the booklet, children work through the stages of deciding what skill they need to learn, naming the skill, imagining how that skill will benefit them, and working with their supporters to see the skill translated into action. Each double-page spread features a prompt on one side and space for a child to write a response on the other. The instructions for each task are presented in simple language and gently humorous illustrations make the steps accessible to children. Ideal for families, schools and services that have purchased Ben Furman’s Kids’ Skills book. Kids’ Skills is playful and practical approach to solving difficulties faced by children. At the heart of Kids’ Skills is one very significant notion—practically all problems can be seen as skills that need to be developed. Kids’ Skills does not blame children or parents for difficulties. Nor does it eliminate the need for childhood professionals. But it does challenge traditional concepts of the role of ‘experts’. The 15 simple steps that comprise the Kids’ Skills method show us how to convert problems into skills. These practical steps create dynamic and playful partnerships between carers and children. This method invites children to become active participants in skill-building and solution-finding. So nab this workbook, along with Kid’s Skills – which is buzzing with ideas, stories and suggestions. Be prepared for refreshing and fun ways that children can adults can come together to convert problems into skills! Kids’ Skills is a great resource for parents and in the tool kits of primary and pre-school teachers, early childhood workers, psychologists and parent support workers. Purchase this PDF version of Kid’s Skills – Skills Book, which allows you to make as many copies as is required for your use*. Kid’s Skills is a fun method for helping children learn skills and overcome problems.